I try to teach my boys that every day is a day to give back. We often talk about ways to help in small kind acts when someone is struggling or having a hard day. But the holiday season is a time to step up in giving efforts to help those in need. 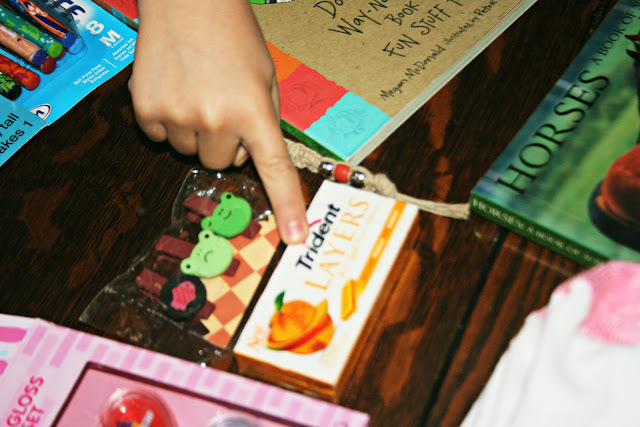 This year, our family packed a shoebox to send off to a child in a third world country. 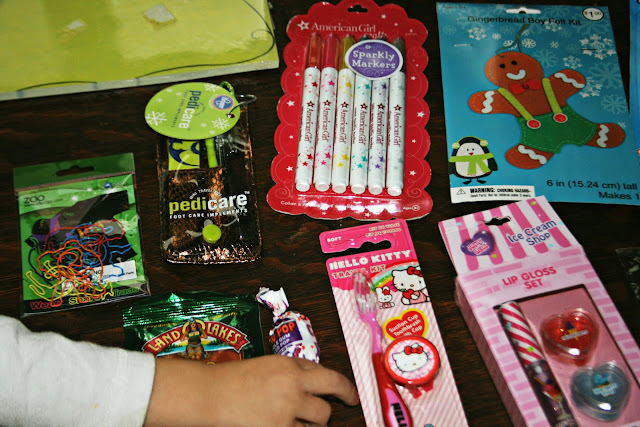 Perhaps you've heard of the Operation Christmas Child program, through Samaritin's Purse? We had our first family discussion about the program one night at dinner. We decided to pick a 10-14 year old little girl for our project, partly because I never get to shop for girls (ha ha) and partly because I think most people might choose a younger age range. I told the boys about the mission trip I took when I was 16 years old to Costa Rica - a trip that changed my heart and outlook permanently. I told them about the families that had nothing in their houses - how the children would play with the wrapper of a butterscotch candy for a toy. Many families I met didn't have so much as a picture on the wall or a roll of toilet paper in the bathroom (if they were lucky enough to have a bathroom - most did not). I told them that even today, over 20 years after my trip, I still remember those beautiful children who lit up my life with their smiles and their sweet hugs. 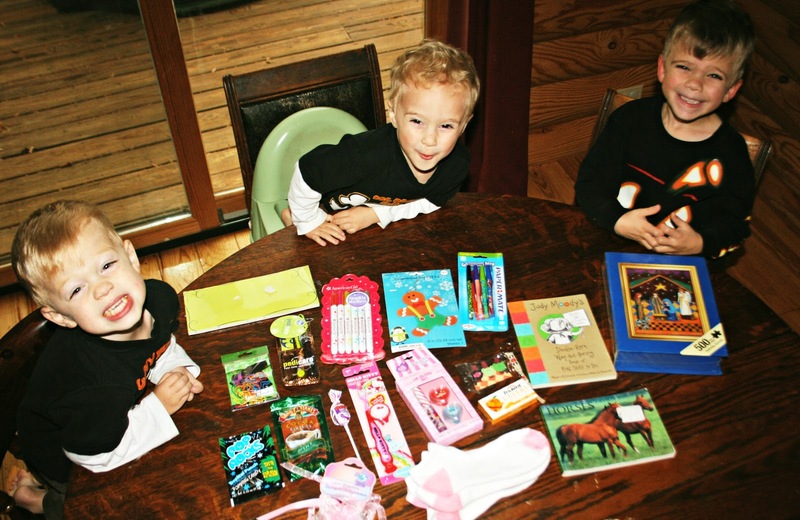 With that in mind, the boys and I picked out some items for our shoebox. A magnetic notepad, zoo animal shaped paperclips, a manicure/pedicure kit, sparkling American Girl markers, a gingerbread ornament kit, fun pens, a Nativity 500 piece puzzle, Judy Moody's Girl's book of fun, a book of horse postcards (I thought she could hang them on her wall as decoration), frog clips, Trident peach gum, a set of 3 ice cream flavored lip glosses, a Hello Kitty toothbrush and holder, a blowpop, a handbraided keychain I made, a mint hot cocoa package, Pop Rocks, a pink ribbon hairbow hair tie, and three pairs of pink and white socks. I wanted to focus on simple items that could get a lot of use and wouldn't need replacement batteries, which is why I made some of the choices I did. Plus, it was important that we stay within our tight family budget! The boys had so much fun helping to pick out items for the shoebox, and I could tell it really helped them to feel good about making someone else happy. Once we had the shoebox all packed, we printed a label off the Operation Christmas Child website, and then we tucked in a $7 donation to cover the cost of shipping. We also tucked in a letter to the child, telling her a little about us. On November 12-19th, we'll drop off our box at a convenient drop off location, to be sorted and shipped. I hope that one day I have the opportunity to give back to children in a third world country in person again, but for now, I am pleased to be able to help from afar, and to include my boys in realizing how important it is for us to focus on others, instead of on ourselves, during the holidays and throughout the year. I hope that you, readers, will consider also participating in this wonderful program! 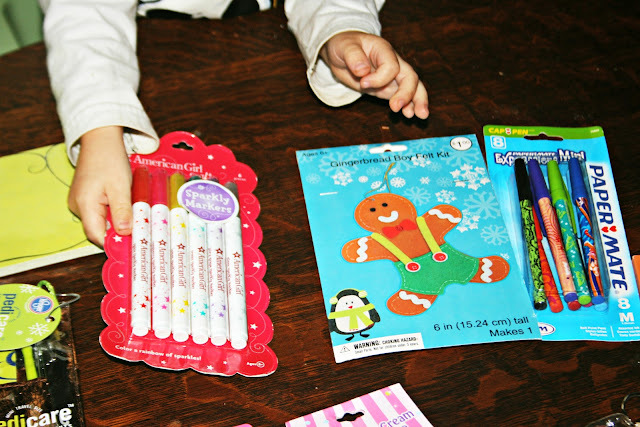 It is such an easy way to brighten the life of an underprivileged child this holiday season.